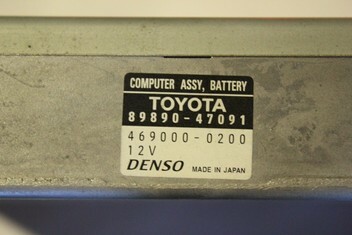 89890-47091 Battery Computer ECU for TOYOTA Prius NHW20 08/2003-12/2011. Please note! The part number will be one of pointed above due to stock rotation, but the ECU will be 100% compatible. 3% surcharge will apply for Credit Card payments.